All South Lake Tahoe homes currently listed for sale in South Lake Tahoe as of 04/25/2019 are shown below. You can change the search criteria at any time by pressing the 'Change Search' button below. If you have any questions or you would like more information about any South Lake Tahoe homes for sale or other South Lake Tahoe real estate, please contact us and one of our knowledgeable South Lake Tahoe REALTORS® would be pleased to assist you. "Tucked away in desirable Tahoe Island, this single-level home has backyard views of Forest Service land, Tahoe Keys lagoon, and a secluded bike path. With one of largest lots in the area, huge backyard, south-facing frontage, and ability to build up, your perfect forever home is right here. Entirely free of tourist traffic, yet within walking distance of South Shore's sandy beaches, Camp Richardson, convenience stores, and dining. Fresh paint and new carpet. This home is ready to be yours today! Neighborhoods: Tahoe Island Equipment: Dryer, Shed(s), Washer Other Fees: 0 Sewer: Sewer Connected, Public Sewer Topography: LL"
"WOW CAN'T BEAT THIS DEAL WITH A STICK! ANOTHER GREAT PROPERTY AT AN EVEN BETTER PRICE! 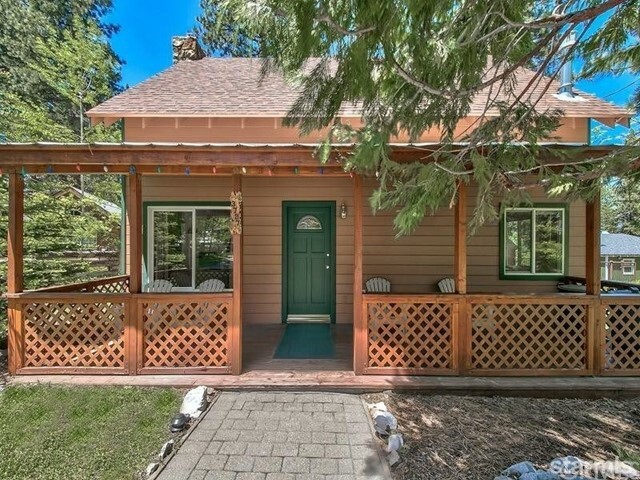 THIS QUAINT AND BEAUTIFUL 2 BED 2 BATH SOUTH LAKE TAHOE HOME FEATURES OVER 1,000 SQFT ON OVER A 6,000 SQFT LOT ALL FOR UNDER $390,000! DON'T MISS THIS UNIQUE OPPORTUNITY TO OWN YOUR OWN SOUTH LAKE TAHOE HOME TODAY AT AN UNBEATABLE PRICE!"